Vaping refers to the use of electronic cigarettes. While e-cigarettes do not contain tobacco and emit no smoke, e-cigarettes present a different set of health risks. In fact, there is an increasing body of evidence that vaping can result in serious injuries, especially in young users. According to a recent report by the Food and Drug Administration, vaping may present a serious risk of seizures in young adults. According to the report, which was released on April 3, 2019, users of e-cigarettes may suffer seizures or convulsions when vaping frequently. The report indicates that both seizures and convulsions have long been known to be side effects of nicotine toxicity. 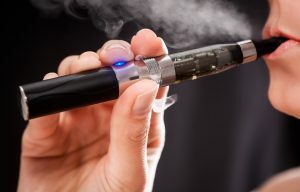 However, the report notes that there has been “a recent uptick in voluntary reports of adverse experiences with tobacco products that mentioned seizures occurring with e-cigarette use.” Apparently, the accidental and intentional swallowing of the e-liquid is the most common cause of these serious symptoms. However, vaping has also been shown to be linked to several adverse health effects, including cancer and heart disease. As a follow-up to the most recent study, the FDA has encouraged health care providers to closely monitor their patients in hopes of further understanding the connection between vaping and seizures. For example, the FDA recommends that physicians discuss e-cigarette use with patients who have had a seizure, including the brand of liquid used and the frequency with which the patient vaped. Physicians are also encouraged to test seizure patients for cotinine, which is a metabolite of nicotine. This test may indicate the level and frequency of nicotine that a patient ingested before having a seizure. While there is undoubtedly a link between vaping and numerous adverse health consequences, scientists hope to better understand that link through future research. Are You an E-Cigarette User? If you or someone you love has recently suffered negative health effects after having been a long-time e-cigarette user, contact Moll Law Group to discuss your situation and how we may be able to help. You may be eligible for monetary compensation for the injuries you have sustained. At Moll Law Group, we strive to make society a safer place by representing consumers in all types of product liability cases, including e-cigarette injury claims. To learn more about how we can help you pursue a claim for compensation based on the injuries you have sustained, call Moll Law Group today at 312-462-1700 to schedule a free consultation.